Wow I’m on a roll with these all-you-can-eat posts! Just yesterday was AYCE Fish and Chips… and now it’s AYCE Korean BBQ!! 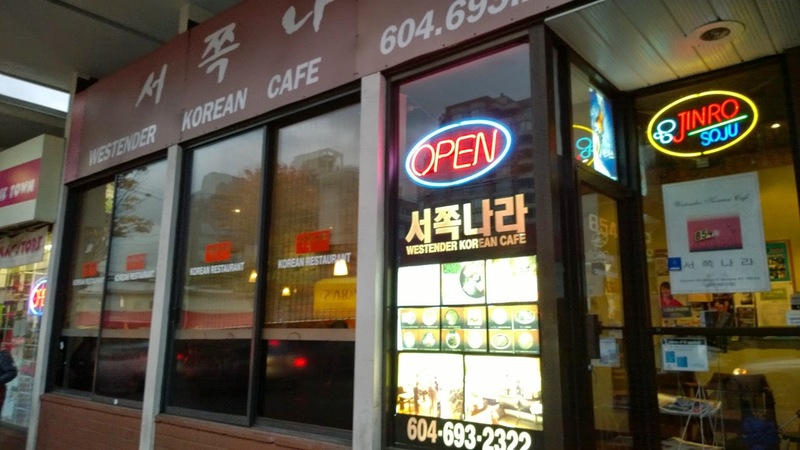 My good friend BB introduced me to this Korean place I never ever thought about going… the Westender Korean Restaurant on Denman. It looks super dingy and uninteresting from the outside but the interior was surprisingly cozy and comfortable. I enjoyed their banchans (small complementary dishes) and of course these are refillable. The Green Onion Salad ($3.99) is a must order dish!! It’s huge so you can probably share with someone. But this salad goes amazingly well with pork and brings a good refreshing bite. 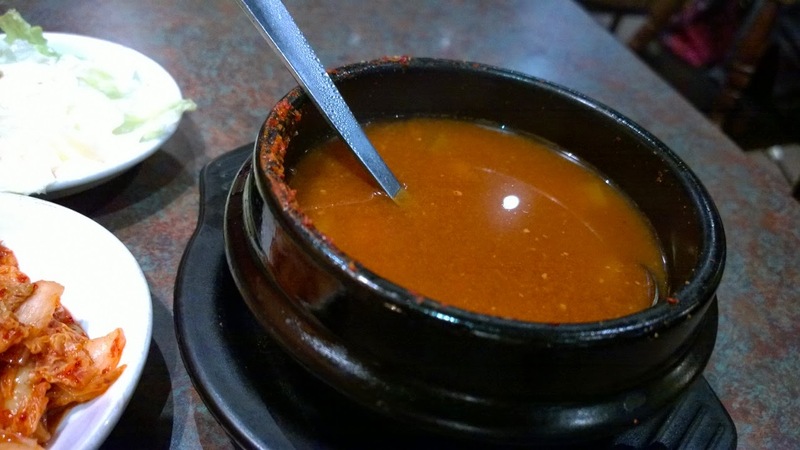 I forgot what this tofu soup is called but it was just a couple of bucks and super spicy. Not my cup of tea but definitely great for anyone that likes a spicy kick. 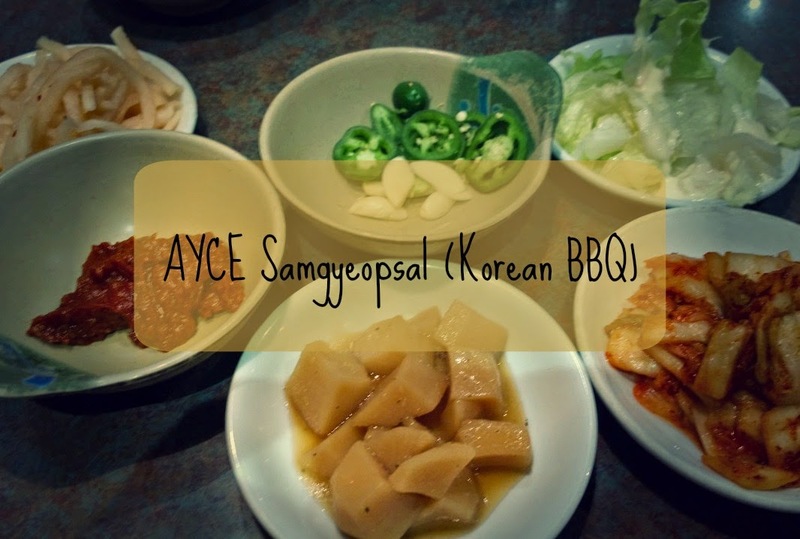 We didn’t opt for the AYCE which would’ve been $17/person (includes everything from samgyeopsal to sides to lettuce). 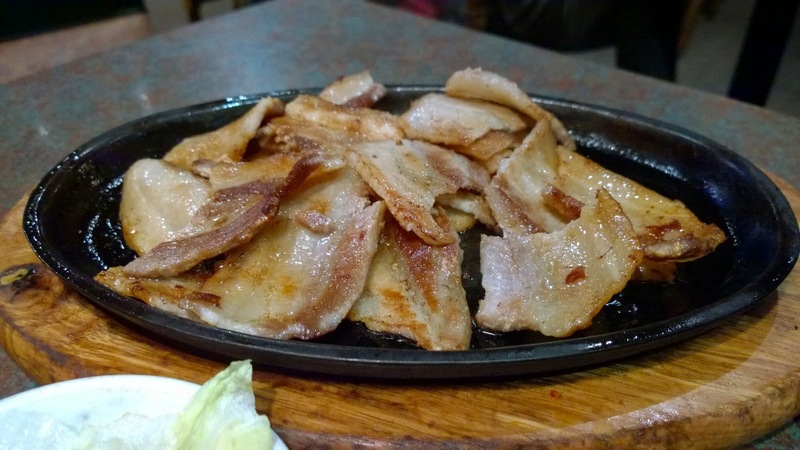 Instead we got one order of Samgyeopsal ($10) and shared it along with lettuce for the both of us. 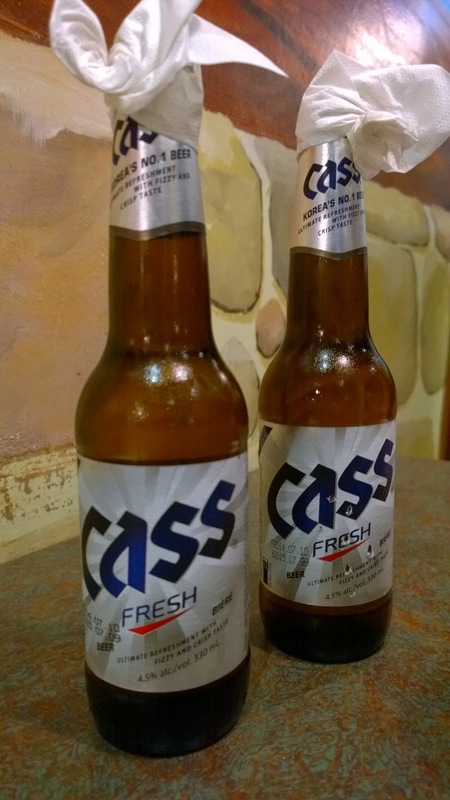 We were totally expecting to order one more when we were done but it surprisingly filled us up! All in all, this is a great place for samgyeopsal if you don’t care too much about it being served already cooked. 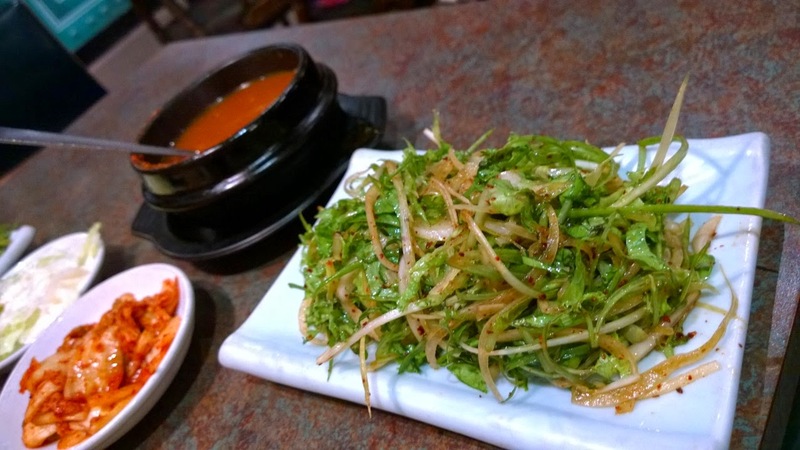 The sides are great, the green onion salad is the bomb, and the prices are affordable. Diva at the Met- Little Portions. Big Flavours. 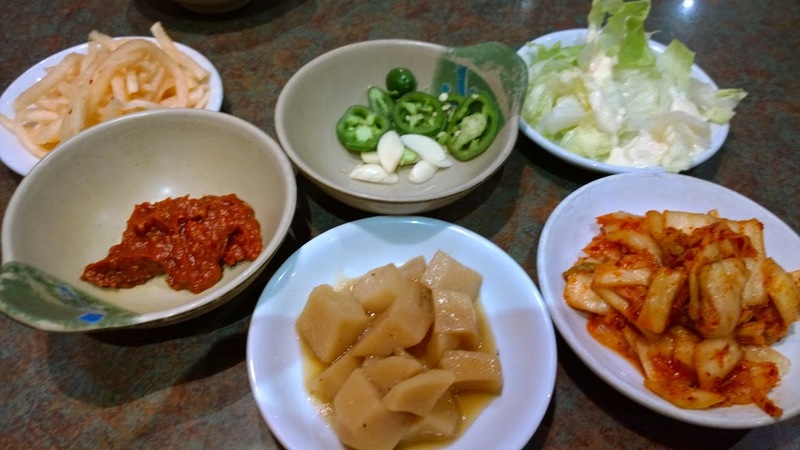 [Guest Post] Seoul Garden (Netherlands): Little Bit of Korea in the Netherlands!